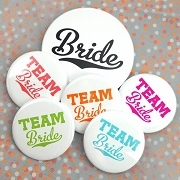 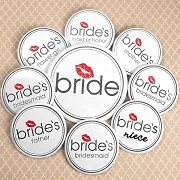 Complete your wedding preparation with our personalized wedding buttons and magnets. 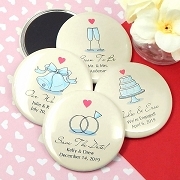 The lovely buttons can be use for your reception, engagement party, wedding invitation or bridal shower party. 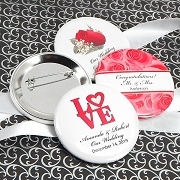 You can also place these personalized wedding buttons on the reception table or your guests can wear them during your event.